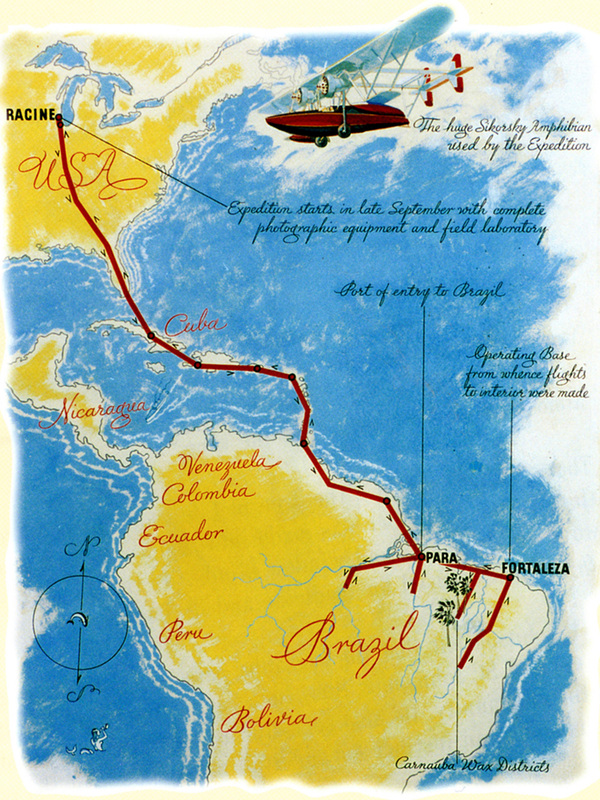 That’s an attitude we learned, in part, from our third-generation leader, H.F. Johnson, Jr. As just one example of his bold decisions, in 1935, H.F. took to the sky, flying 15,000 miles round trip to visit northeast Brazil. He was seeking the company’s most precious resource at the time: the carnaúba palm. 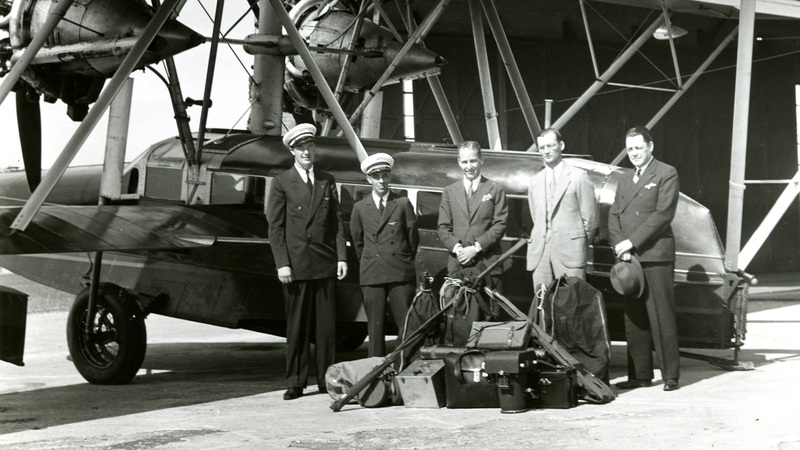 In Fortaleza, H.F. wanted to establish a research center where SC Johnson could grow and study the carnaúba palm while looking for more efficient ways to harvest its wax. Our research center, established in 1937 and named Raposa, became a hub for extensive research and development about the plant, its harvesting methods and refining of its wax. We developed new ways to process the leaves, and enhanced the cultivation of the palm to create trees that were faster growing and had higher wax yields – insights that were shared with local farmers as well. 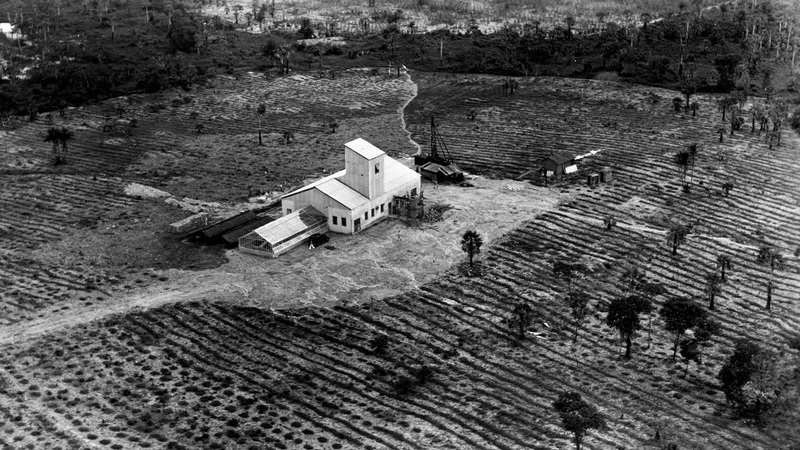 RIGHT : The Raposa research center, founded by H.F. Johnson, Jr. in 1937 in Fortaleza, Brazil. BOTTOM : The Raposa research center, founded by H.F. Johnson, Jr. in 1937 in Fortaleza, Brazil. Before H.F. passed away in 1978, he had one final request: He wanted the carnaúba leaf carved into his tombstone. More than a plant, the leaf had come to symbolize the values that H.F. prized so highly and for which he is gratefully remembered.